The History of Recording- 150 years of change / The genesis of tape Digital recording / Recording today / The mp3 / The benefit of digital / Analogue artefacts (Or does tape really sound better?) / Changing roles in the studio / Today's producer. Classic Kit- Evolution of a guitar sound / Classic mics / Classic compressors / Classic EQ / Classic reverb / Classic delay / Classic multi-fx and exciters / Future classics. The Studio and its Kit- The mixer / Inserts and aux buses / Levels and gain structure / EQ - types, uses, phase, where to cut and boost / Pre- and post-fade / Volume and panning / Software instruments / Fader and group buses / Resurgence of the mixing desk / Using hardware with software / Latency / Basic studio hardware - audio interface, DI boxes, speakers and headphones / Microphones / DAW and Monitor controllers / Pre-amps / Keyboards / Other hardware in the recording chain: EQ, compressors and beyond / Wiring / Ground loops (and how to avid them) / Patchbays / Graphical spread: The project studio - Basics and areas for investment. Walkthroughs: Using EQ to tame rogue frequencies / Direct monitoring with DAW reverb. The Microphone- Dynamic mics - how they work, pros and cons / Ribbon mics - how they work, pros and cons / Capacitor mics - how they work, pros and cons / Boundary mics - how they work, pros and cons / Phantom power / The capsule / Mic spec sheets - behind the jargon / Polar patterns / Omnidirectional mics / Figure-of-eight mics / Cardioid mics / Exploiting polar patterns / Proximity effect / Stereo mic'ing / Coincident (XY) pairs / MS pairs / Spaced mic techniques / The ORTF pair / Phase / The DI box / The 'five to one' rule / Graphical spread: Mic compared - an overview. Walkthroughs: Setting up an MS co-incident pair. Studio Acoustics- Why acoustics matter / What you hear in the studio / Sound waves: The physics / Diffusers / Absorbers / DIY projects / Bass traps / Flutter echoes and standing waves / Studio layout /Setting up speakers / Choosing the right monitors / Positioning the sub / The live room / Acoustic compensation / Soundproofing / Which mineral wool? Recording Vocals - Capturing the right signal / The recording chain / Choice of microphone / Ribbon mics for vocals / Shock mounts / Pop shields / Sibilance control / Signal level / Using an external pre-amp / Using headphones / Dynamic range / Setting up the monitor mix /The recording / Order of recording / Bigger backing vocals / Proximity effect / Getting the best from singers (and other performers). Walkthrough: Killing the acoustics, Setting up separate monitor mixes. Recording Electric Guitar and Bass- A million tones / Recording the DI way/ Modelling pre-amps / Traditional mic'ing techniques / Choice of mic / Mic position / Two-mic methods / Tuning /Room reflections and phase / Advanced mic'ing techniques / Low noise options: Power soaks, dummy loads and isolation cabinets / Controlling noise / Splitting signals / The big guitar sound / Recording electric bass. Recording Acoustic Instruments- Acoustic guitar - What the mic needs to hear / Recording using pickups / The importance of environment / Right mic for the job / Mic position / Stereo recordings / Rule-of-thumb mic placement technique / Grand piano - The right mic for the job, mic position, stereo spread /The upright piano / Strings - Right mic for the job, mic position /String sections and orchestras / Brass and wind instruments - The right mic for the job, mic position / Brass sections / Double bass / Moving targets / Percussion. Recording Drums- No typical drum kit / Prepping the kit / Tuning / Taming noise and rattle / Recording - the simple way / Recording - multi-mic options /Room acoustics / Mic'ing the kick and snare / Mic'ing the toms / Phase / Tricks of the pros. Recording Bands- The options - 'All-at-once' vs overdubs / Recording to a click / How many passes? / Who plays? / Bass / Drums / Electric guitars / The silent band / Case study: amp separation / Acoustic groups / Graphical spreads: typical setups. Compression & Dynamics 101- How does a compressor work? / Compression in the mix / Auto attack and release / The transient designer / Peak and RMS sensing / When two are better than one / Using (and abusing) the side-chain / Multi-band compression / Multi-band processing / Dynamic EQ / Parallel compression / Parallel distortion / DIY excitement. Walkthrough: When two are better than one / Parallel compression / Advanced parallel compression / DIY parallel distortion. Reverb & Ambience 101- What is reverb / Why we need reverb / Reverb in nature / Synthetic reverb / Pre-delay/ Tonality / Early reflections / Decay / Density and diffusion / Modulation / Convolution reverb / Convolution limitations / Stereo reverb / Reverb in the mix - on vocals, on drums, on guitars, on keyboards / Reverb effects - reverse and gated reverb / Reverb ducking / Reverb and perspective / Advanced reverb techniques. Pitch Correction 101- A modern phenomenon / Auto-Tune / Melodyne / Which correction to use? / Limitations / The ethics of correction / Production tricks. Walkthrough: Using Auto-Tune on the lead vocal / Editing the lead vocal in Melodyne / Artificial harmonies in Melodyne / Pseudo double-tracking. Vocal Production- All about the performance / Preliminary edits / Dynamic processing - automation, compression and limiting / Parallel compression / Vocal rider plug-ins / De-essing / Vocal EQ - make way for the vocals / Reverb / Delay / Advanced processing / Doubling and layering / Ad-libs / Effects on vocals / Advanced vocal production techniques; / Stereo width: a warning / Auto-Tune abuse. Walkthrough: Hard-hitting vocals / Setting up a de-esser / Auto-Tuned vocal spins. Electric Guitar Production - Guitars in the mix / The way that you play it - Power chords, Two-pass takes, Open tuning, Drop tuning, Rhythm damping / Doubling / Guitar separation - organic methods / EQ / Phase to shape tone / Guitar ducking / Distortion and overdrive / Rock guitar / Guitar solos / Clean guitar / Different tones: the E-Bow and beyond. Walkthrough: Layered distorted rhythm with DI signal / Ducking using a gate / Chopped guitar. Drum Production- The sources of drums - recorded kits, samples, mix of the two / Drum replacement / Drum replacement using contact mics / Drum replacement using the recording of an acoustic kit / Timing / Phase / Mixing sampled kits / Mixing acoustic kits - close mics first vs overheads first / Drum fills / Panning / EQ / Compression / Gating / The kick drum / The snare drum / Toms / Mixing overheads / Room mics / The drum bus. Walkthrough: Drum replacement with a contact mic / Drum replacement with a mic'ed kit / Drum replacement on a stereo file. Pre-mix Housekeeping- Planning the mix / Track cleanup / Guitar noise / Drum spill / EQ cleanup / Visual cleanup / Headroom / Bus and fader grouping / Comping / Vocal fine-tuning / Backing vocal timing / Consolidating Midi instruments / Time and phase forensics. Walkthrough: The audio clean-up / Gate on the snare / Comping the lead vocal / 'Cut & move' backing vocals / Melodyne timing tweaks / Timing harmonies in Melodyne. Arrangement- Why arrangement is a production priority / Common mistakes and solutions / Groove / Humanising the groove / Shape of the track / Colour - maintaining listener interest / Terms of the trade / The power of four / The salvage operation. Walkthrough: Using custom groove templates / The dreaded salvage operation. 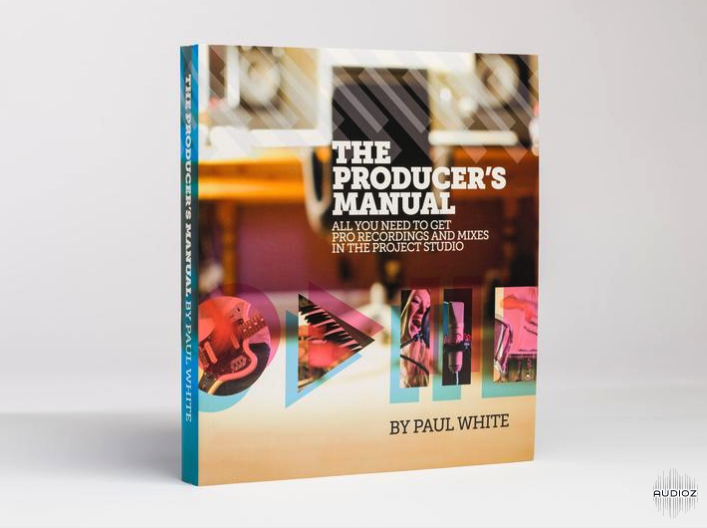 The Mixdown- Before you start / Approaches to mixdown / Headroom / Monitoring 101 / A/B referencing / Mixing for club rigs / Early preparations / Less is more / Bass in the mix / Bass salvage and layering techniques / Kick and bass / Drums and bass: the radio perspective / Where bass is boss / Panning / Polishing the mix / The master bus / Compression in the mix - channel compression, bus compression, parallel compression / Vocals - intelligibility / Loudness / Modulated delay FX / Augmenting and polishing the mix / Overall tonality / Common mix problems - spill, room, brightness and beyond / Exporting the master. Mastering- What is mastering? / The home master / Comparing the master / Cult of the mastering engineer / EQ / The stereo mix / Loudness / Compression / Limiting / Mono bass and M/S techniques / Technical chores / Mastering: the pro route. Walkthrough: First steps in the home master / Next steps in the home master / Exporting an mp3 master.